4Minute is a South Korean girl-band formed by Cube Entertainment in 2009 that consists of five members: Nam Ji-hyun, Heo Ga-yoon, Jeon Ji-yoon, Kim Hyun-a, and Kwon So-hyun. The first member that was announced to be part of the group was Kim Hyun-A, who used to be a member of Wonder Girls but had to leave for personal reasons. They’re famous for their unique concepts, and they quickly became the rivals of 2NE1. Most of their songs were produced by Shinsadong Tiger until 2012. Shinsadong Tiger himself is famous for producing idols’ songs, such as EXID and T-Ara. The members of 4Minute are not only great as a group, but they each also have their own careers as soloists and duo groups. Hyun-A started her solo career with the song Change, but didn’t receive a lot of public attention for it. In 2011, she released another solo song Bubble Pop, which was produced by Brave Brothers. The music video went viral and garnered more than 10 million views. Ga-yoon and Ji-yoon also formed a sub-unit called 2YOON, which debuted in 2013 with the song 24/7. From their first debut until their last release in 2016, 4Minute had released two albums and seven mini albums. They also released 17 singles, including featured songs and a Japanese version. Here are some of the best and most popular 4Minute songs that you should listen to. Hot Issue was the first single they recorded, and was released in December of 2009. It was produced by Shinsadong Tiger, and after this song was debuted, it charted at #20 in Melon Chart for 2009. 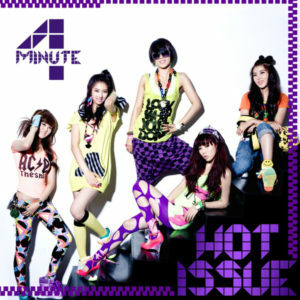 Prior to their debut, 4Minute released a mini album Muzik which charted at #21 in Melon Chart. Song Ji-hyo from Running Man often dances to this song in his show, which shows how much the public easily remembers Hot Issue. 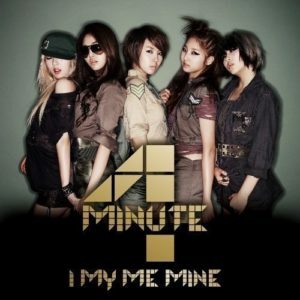 I My Me Mine was 4Minute’s second track off their second mini album, HUH (Hit Your Heart). It released in 2010 and debuted at #5 on Gaon Digital Chart. Although the auto-tune is a bit too much, overall it is a very great song to dance to. Yong Jun-hyung of Beast participated in the song by making it with Shinsadong Tiger. Beast also makes an appearance in the start of the music video by introducing 4Minute because they used to be apart of the same company, Cube Entertainment. The group gets to showcase its powerful vocals with this song, and it’s no wonder it peaked in the charts after it was released. Heart to Heart was released in 2011 off the album 4 Minutes Left. Unlike their other songs with femme fatale or girl-crush concepts, this song sounds different because they show off more of their feminine sides. Lee Jung Shin of CN Blue starred as a main character in the music video, along with Hyun-A. The music video tells about a girl trying to get her man’s attention in a funny way. Volume Up was released 2012, and the impact of the song can be seen all over Korea as well as overseas. They even made an Indian language version of this song in 2012 because it has an Indian music vibe and a refreshing sound. 4Minute won Bonsang on 27th Golden Disc Award for the song Volume Up. What’s Your name was produced by Brave Brothers, another K-Pop idol producer, and released in 2013. This song has an addictive chorus that is often used as a joke in reality show captions. 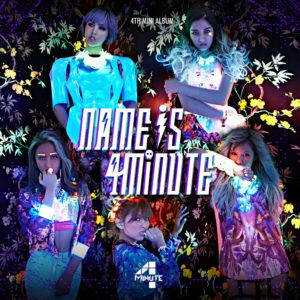 All songs on the mini album Name is 4Minute have this groovy hip-hop style, such as What’s Your Name and Whatever. Whatcha Doin’ Today was released in 2014. This song has the same vibe as What’s Your Name because it was produced by the same company, and even the titles of both songs are similar. Despite this, they each have their own special qualities that are addictive. The music video for Whatcha Doin Today” is also very unique, which showcases sexuality in a cute concept. Maybe 4Minute wants to break the society taboo about showing one’s sexuality. 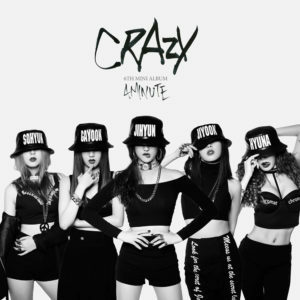 Crazy is the title song off 4Minute’s sixth EP, Crazy. Unlike their other songs, the concept for this one might be their most fierce. After their mini album was released, it reached number 1 on Billboard’s World Album Chart and sold over 21,000 copies in Korea. The Crazy EP side tracks are also recommended, such as Cut it Out and Cold Rain. 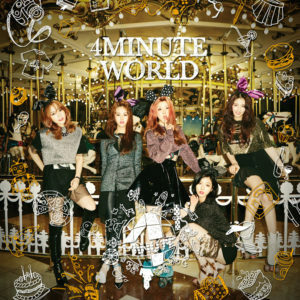 This was 4Minute’s last song release before their disbandment. 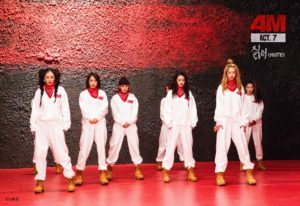 The concept is about an anger towards one’s lover, shown by the powerful dances and music meant to empower girls to do the same as them. This song is of the trap genre and was produced by Skrillex. 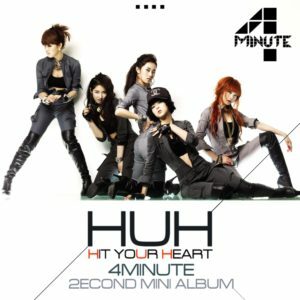 Some rumors were spread that 4Minute chose to decide whether or not to disband based on the public’s response on this album. The outcome of the album wasn’t great, and they officially disbanded after their contract ended. In the end, Cube Entertainment stated that 4Minute members failed to make negotiations, and instead departed from the group. Hyun-A still currently remains with Cube Entertaiment as a soloist while the other members have chosen their own projects, such as actresses (Nam Ji Hyun) or soloists (Jeon Ji Yoon/Jenyer).